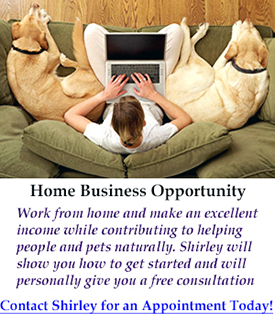 Have A Passion For Animals? Make A Difference! Experiencing Sole with Himalayan Crystal Salt! Shaken Baby Syndrome or Vaccinosis Encephalitis? 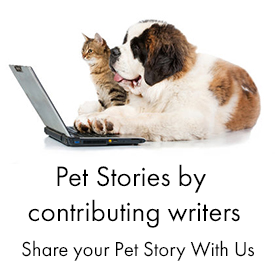 What's Behind Our Pet's Chronic Allergy Epidemic? What's Best for Pets: Kibble, Raw or Home-cooked Food? Autism Hope: What's Behind the Autism Epidemic? If you do not agree to this disclaimer, please do not use the site. The information in this web site is presented for the educational and free exchange of ideas and speech in relation to health and wellness only. 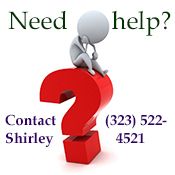 Shirley's Wellness Cafe website is not intended to diagnose any physical or mental condition, or to prescribe or promote any particular product(s).It is not intended as a substitute for the advice and treatment of a licensed professional. 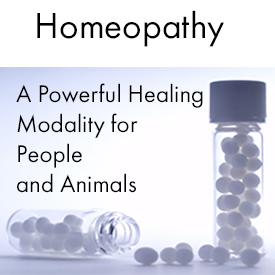 In the event that you use the information for your own health, or for your animals, you are prescribing for yourself or your animals, which is your constitutional right and for which the author of this site assumes no responsibility. 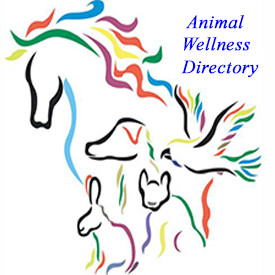 The author of this website is neither a legal counselor nor a health practitioner, nor a veterinarian and makes no claims in this regard. Reference or links in this web site to any non-government entity, product, service, or information do not constitute endorsement or recommendation. This site is not responsible for the contents of any off-site web pages, companies or persons linked or referenced in this site. You are welcome to follow the links and visit the various websites and determine for yourself if the products are for you. 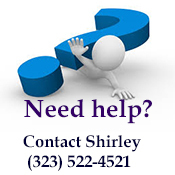 Shirley's-Wellness-Cafe.com is a free educational web site created from a labor of love and as a public service. 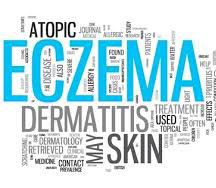 Common causes of eczema are allergies secondary to digestive disorders, immune deficiencies, genetic metabolic disorders such as the inability to produce GLA-gamma linoleic acid, a key component in the structure of cell membranes and nutritional deficiencies. Eczema, also referred as atopic dermatitis, is an inflammation of the skin, usually associated with blisters, thickening, crusting, scaling and itching. There are different types of eczema depending on their causes, and where they occur on the body. 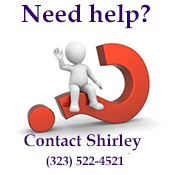 Shirley's Healing Begins! Dramatic Skin Improvement! Summary: I suffered from severe eczema, a type of atopic dermatitis with painful swelling and oozing of the skin, bleeding cracks, severe scaling, itching and burning. When I sweated, it felt as if acid was poured all over me. I suffered miserably for 49 years from this horrible disease which totally debilitated me. No creams, potions, salves, cortisone or anything else cured my condition. It wasn't until I turned 50 that I finally discovered how to heal my skin by igniting my own internal healing force. Ironically in the process of curing my eczema my overall health and vitality improved dramatically. I have been suffering from eczema for 49 years, since I was one year old. My parents had taken me to dozens of dermatologists who were unsuccessful in helping me. I had never been breastfed thus I never acquired the innate immune factors from colostrum which provide protection against infection and allergies. At the time no one knew that my eczema was caused by vaccines and a severe allergy to cow milk formula. Allergy or intolerance to casein (from milk and cheese) is also very common and can trigger the auto-immune reactions like skin inflammation and eczema. As an infant I was bottle fed cow milk formula which I believe triggered my eczema, as well as vaccination. Some people are also allergic to the Nightshades family of plants (White Potatoes, Tomatoes, Eggplants, Peppers and Tobacco). It wasn't until I was in my thirties that I became aware that I was severely allergic to gluten and dairy products (with the exception of butter). I craved bread, cheese and milk and was very difficult for me to eliminate these foods from my diet, but I had no choice and I stopped eating these foods. I completely changed my diet. I replaced all the toxic junk foods with fresh, organically grown raw fruits, nuts, and vegetables. I also added important healing oils rich in omega 3 to my daily diet. Basic beauty begins with the glow of good health, which shines from within. The skin often mirrors the health of the whole body. A radiant clear complexion begins with proper nutrition, efficient digestion and assimilation of nutrients by the body and regular elimination. Skin problems are a reflection of internal health and are often a reflection of overall body and blood toxicity and/or stomach problems. Almost anything that cleanses the blood or intestines will also show a result on the skin. Skin problems can also be as a result of allergies, hormone imbalances, nutrition or dehydration. My little God Child, Sakura, was born with beautiful skin. She was not vaccinated but was only breastfed for 2 months. When her mother began feeding her cow milk infant formula, she developed eczema on her chest, arms and face and her eyebrows and eyelids were swollen and inflamed. The doctor suggested to feed the baby raw kefir (Qephor) instead of the commercial infant formula. Raw Qephor or Kefir is a natural super source of bio-available vitamins, calcium, probiotic friendly bacteria, and easily digestible proteins. After being on this wonder raw food for a couple of week, her eczema cleared entirely. Holistic doctors warn parents that routine childhood vaccination can trigger severe eczema. 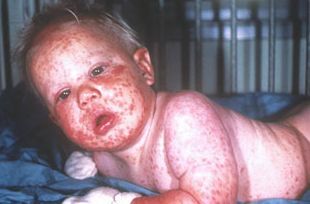 The CDC documents eczema cases attributed to vaccination. 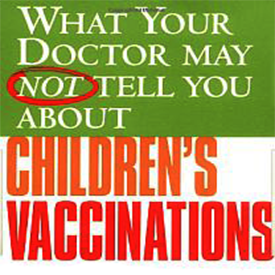 There are many published medical studies, government statistics, congressional testimonies, and other credible sources that directly contradict commonly held assumptions about vaccine safety and effectiveness. Philip Incao, M.D. - "...routine childhood vaccinations may directly contribute to the emergence of chronic problems such as eczema, ear infections, asthma, and bowel inflammations. In this field, we regard childhood vaccinations as anything but routine; rather, we consider them in most cases to be suspect, dangerous, and worthy of exceedingly rigorous review. 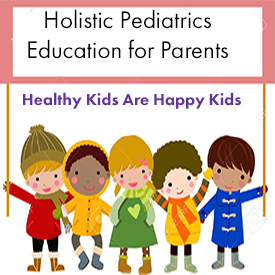 Generally, we try to avoid giving most vaccinations and rely instead on alternative, more natural ways of helping the child cope with what we contend are the necessary and beneficial illnesses of childhood." As a teenager, I used to spend my vacation time in a hospital in Leiden, Holland, where nurses would coat my entire body with a strong smelling sticky black tar. The tar treatment only temporarily reduced some of the inflammation. Finally when I was 17, a doctor in Belgium gave me a prescription for cortisone pills and cream (Kenakort) which rapidly cleared my eczema as by "magic". I thought I had finally found the "miracle cure" and was elated but totally unaware of the danger of cortisone. I continued to take this medication for 9 years to keep the eczema in check, not realizing that in the process the steroid cortisone's nasty side effects was destroying my immune system and slowly killing me.I learned that the answer is NOT steroids, topical treatments, or antihistamines!! These are only treating the SYMPTOMS and in fact, making the problem worse. I learned why elimination of the symptom is NOT the same as elimination of the disease. 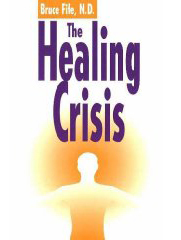 The healing had to occur from the inside out because my eczema was an internal disease, a leaky gut syndrome and a toxic blood condition with skin symptoms. The reason that a skin disease like eczema can cripple a person's physical and mental aptitude is not understood by most people. Holistic doctors view eczema as symptoms of a "blood disease" which occurs when eliminative organs (liver, kidneys, intestines, etc.) malfunction, causing toxins to accumulate in the blood which can affect mental clarity and aptitude. The body attempts to compensate for faulty eliminative organs by excreting these toxins through the skin which is the largest eliminative organ next to the liver. Worldwide, more and more people develop psoriatic and eczematic symptoms, with the highest rate of increase observed in the developed industrialized world. My heart goes out to anyone out there who suffers from psoriasis, eczema, scleroderma, and many other painful diseases and think that there are no cures. I too believed that there was no cure. That's why I decided to share this story on the internet. 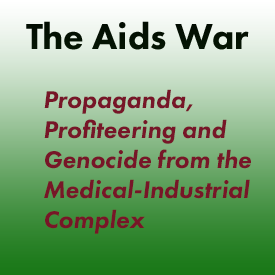 Treatments that are recommended by doctors and pharmaceutical companies worldwide amounts to futile attempts at mere symptom treatment instead of the trying to address the root causes of the condition. There are various creams, ointments, and UV light treatments but none of them appear to have any lasting effects on the vast majority of sufferers, and many of the remedies cause undesirable side effects. In my little biography "A light at the end of the tunnel" I describe my struggles with years of debilitating health problems, how I overcame a lifetime of chronic diseases and addiction to prescription drugs, and how I lost 60 lbs in 3 months effortlessly. 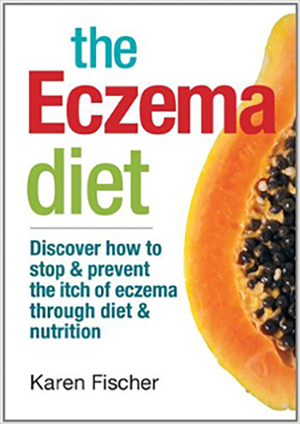 Even my eczema had improved over 80% with the homeopathic treatment and by switching my diet from the SAD (standard American diet) to a wholesome diet of fresh, organically grown raw fruits, vegetables, and nuts. The hardest part for me was to stay away dairy and grain products to which I had been addicted to for years. My skin had improved dramatically, however I continued to experience small flare-ups of this stubborn eczema in the form of a few small spots on my hands, arms, my back and my face. These spots would come and go constantly. 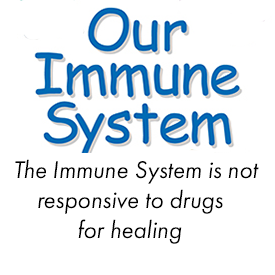 Healing doesn't occur in a straight line upward... it fluctuates up and down as the immune system improves. I didn't worry about those ups and downs because they were mild compare to what it used to be. I understood that there is no silver magic bullet in curing eczema - it takes a combination of approach to promote the healing, to detoxify the blood and to provide the body the tools that it needs to cure itself. In my never ending search for healing my eczema naturally I learned about uropathy and auto-immune urine therapy (UT) which has a reputation of curing some of the worst chronic diseases, including the worst of skin affections. I read several books about UT and was so impressed with the case histories of amazing cures that I hesitated no longer to try it for my own health. I practiced UT for about one year. I knew that as part of the healing process my body would begin to discard toxic residues which had built up over the years. This process is known as a healing crisis. Some people experience mild healing crisis while others have a more intense experience. I think that I may have had a very intense healing crisis in December of 1996 when I experienced the worst case of eczema ever...or was it merely the result of a severe deficiency of a vital nutrient as I learned later? At the onset of this relapse, my entire body looked like it had a second degree sunburn or radiation burn with bright red, swollen skin. The next day my entire body was covered with the raised, thickened skin of eczematous condition. Even my feet and other areas of my body which had previously remained clear were now affected. In addition, my feet and ankles had swelled up to twice their original size. To this day, I can't say for sure that this was a healing crisis brought on by uropathy or by something else. I took these photos of my foot, myself in Feb 97. I regret not having taken more pictures. My ENTIRE body suffered with the same swollen, crusty, bleeding, oozing and cracked skin, from my toes to my scalp, including my face. A year or two later, I'm completely healed! The condition was worse on my hands, arms, legs and feet where the swollen, inflamed skin caused intolerable itching and burning pains day and night preventing or disturbing my sleep. The itching became unbearable when my body would overheat and sweat during exercises or in the heat of the bed. Scratching caused bleeding and oozing of a clear/yellowish viscid fluid which would form crusts and caused massive scaling when scratched. I also developed extremely painful deep cracks on the bottom of my feet and on my hands, palms and fingers. The skin on the rest of my body had become thick, tough, and indurated. I thought that it looked like that of an elephant's thick skin and it felt rough like sand paper to the touch. Eventually the skin of my face, throat and neck had also become swollen and felt stiff as though it was made of cardboard and glue. I wondered if I had developed scleroderma. I was constantly cold, even when covered in layers of clothing and tucked under the covers in warm room. I had to stop using soap of any kind. Here is what R. Lincoln Graham, M.D. writes about soap: "If soap has an excess of alkali-and most of them do-this alkali promptly unites with the delicate fatty substances secreted for the protection of the skin, and removes it, leaving the skin surface dry and harsh. Cracks then form in the skin, and dirt works into them, frequently requiring the use of even stronger soap the eradicate. This still further deepens the cracks, and so it goes, from bad to worse"
Soaking my body in Montmorillonite clay infused water was very soothing and detoxifying and cleansing to me, I had no need for soap. Occasionally I also had a colloidal oatmeal bath. After the bath, I massaged my hands and feet with castor oil mixed with calendula extract and wrapped them in plastic bags for a few hours to keep the skin and the cracks as soft as possible. Later I also discovered the wonders of Comfrey salve and of Shea Butter, derived from the seeds of the Karite Nut of the Mangifolia Tree in Africa, which soothe and moisturize my skin without clogging my pores. The pain and discomfort from my swollen feet and ankles and from my painfully inflamed skin had debilitated me so that I could barely function anymore. I made every effort to avoid perspiring (which was very difficult in the hot summer days) because sweat burned my diseased skin as though pure acid was poured over it. It had become very difficult for me to do computer work or any other work. The slightest task seemed like a huge chore. Exhausted and in pain most of the time, I thought I had reached the end of my life and would die soon. I'd lie in bed for hours staring at the TV or resting. 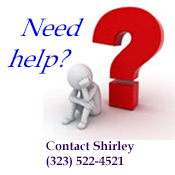 I didn't want to seek help from a dermatologists because I knew that they would put me back on dangerous anti-inflammatory drugs such as steroids (cortisone or prednisone) and antihistamine and I knew from past experience that these would spell BAD NEWS for me in the long run. I wasn't about to interfere with my body's self cleansing and healing process by suppressing my symptoms with drugs as I had done in the past. I learned from my son's pediatrician, Dr. Paul Fleiss, that my eczema was directly the result of blood toxicity, and a deficiency of essential nutrients (mainly the omega 3 oils, which are found in abundance in Marine Phytoplankton and flaxseed oil. Certain types of fat-metabolism malfunctions are more often found in patients suffering from eczema than in the rest of the population. Dr. Fleiss gave me a bottle of flaxseed oil and advised me to take two tablespoons of that oil everyday. (Healing is impaired and immune function decreased when there is a deficiency of omega 3 fatty acids), glyconutrients and trace minerals. Marine Phytoplankton product offers full Spectrum 72 natural ionic sea trace minerals) Dr. Fleiss is also a proponent of wholesome, organically grown, fresh, raw food diet to help promote and maintain optimum health. I started taking 2 to 3 tablespoons of flaxseed oil everyday. Within 13 days of taking the flaxseed oil I noticed a dramatic improvement: the swelling of my feet and face had decreased, the itching was less severe, I was sleeping better and my vital heat had returned; I didn't feel so cold all the time. Later, after doing further research, I learned that there is no such thing as a silver magic bullet to cure eczema. 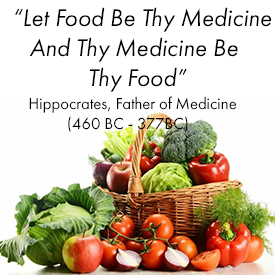 In my case, it took a combination of treatments to help my body heal itself, including homeopathy, ,green juice, other omega 3 oils, Immunocal to boost the glutathione level , herbal tonics, VelociTea, good alkaline water and glyconutrients. Daily exercise and deep breathing was also very important. The results were outstanding - I achieved a complete cure! 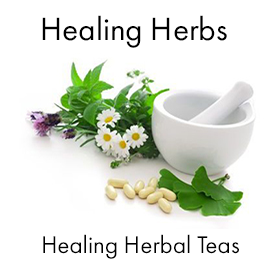 To detoxify my blood/lymphatic system and to help my body self-heal, I only drink energized, alkaline living water (never tap water), I take important herbal formulas, and I drink the Velocitea Holy Tea everyday. The holy tea name is taken from a widely-used medicinal herb known as Holy Thistle which has been used for hundreds of years in Europe to treat all sorts of ailments, including Itchy, flaky skin or scalp, as well as inflamed skin, dermatitis, and eczema everyday, I also drink daily 6 to 8 ounces of freshly cold pressed green juice of wheatgrass, parsley, cilantro, dandelion, and bitter-melon-vines juice (in season). In this green juice, I mix in one tablespoon of bee pollen, one ounce or more of fulvic minerals, 2 packet a day of glutathione precursor and one to two ounces of marine phytoplankton. Prostaglandins, which strongly influence skin health, are the body's chemical messengers, governing many processes, including inflammation. They are not stored in the body but must be constantly synthesized from our diet. The best dietary sources of EFAs include flaxseed oil, seafood and evening primrose oils. Yet while fish and flax oils supply omega-3 fatty acids, evening primrose oil is one of nature's richest sources of an even rarer fatty acid: gamma-linolenic acid. The exceptionally high gamma-linolenic acid content of evening primrose oil makes it critical to skin health. That is because two key enzymes-Alpha6 desaturase and Alpha5 desaturase-involved in metabolizing many of the EFAs and making them useful to the skin are absent in skin itself. However, the skin does not require either of these enzymes to convert gamma-linolenic acid into favorable compounds required for mod-erating inflammation.res the continual formation of gamma-linolenic acid from precursor compounds by the liver, and then depends on the blood for transport to the skin. 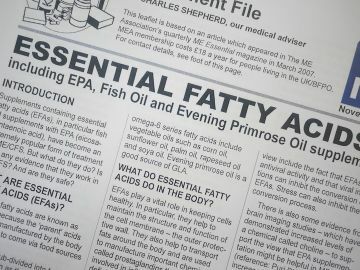 Although the body can convert other EFAs into gamma-linolenic acid, it may be more beneficial to provide a constant supply of already-formed gamma-linolenic acid from evening primrose oil. That is because the body's capacity to convert the more common linoleic acid to gamma-linolenic acid decreases with age, increasing the body's requirements. Also, the activity of ?6 desaturase is inhibited by many environmental influences such as diet, stress, and aging. Thus, supplying already-formed gamma-linolenic acid enables the skin to use EFAs more efficiently to fight off disease and quell inflammation. Omega-3 rich oil played a crucial role in my health recovery. I mix 1 to 2 tablespoons of flaxseed oil, 1 tablespoon of black cumin oil, and one tablespoon of evening primrose oil with my fresh vegetale juiceb (it can also be mixed with 1/2 cup of cottage cheese or yogurt.) I also take borage oil to help heal the inflammation. When taken by itself, these oils do not taste good and do not assimilate well in the body. Mixed with cottage cheese or yogurt it taste good and is easily emulsified and absorbed into the body. Make sure to store the oils in the refrigerator. Do not keep the oils exposed to air or light for more than a few minutes. (Barleans recommend about one to two tablespoon of flaxseed oil per 100 pounds of body weight). Liquid flaxseed oil is better than capsules. Barleans recommends one to two tablespoons of flaxseed oil per 100 pounds of body weight. Liquid: Black Cumin Seed Oil cold-pressed from the Black Seed herb rich source of essential fatty acids for a wide variety of health conditions. (psoriasis, eczema, dry skin, asthma, arthritis, immune system). Hemp seed oil soft gel, capsules, or liquid form. Fish oil - A team of researchers from Austria, the Czech Republic, the Slovak Republic, Germany, and Poland now report that intravenous infusions of a fish oil emulsion is quite effective in ameliorating the symptoms of chronic plaque-type psoriasis. Black Cumin Oil - great for skin conditions: eczema, psoriasis and acne Professor G. Rietmuller, Director of Institute for immunology at the University of Munich believes that black seed plant extract works positively on the immune system and could be used as a bio-regulator. Professor Michael Meurer of the Dermatology Clinic in Munich has for a long time been convinced about the success of this oil. From his experience the black cumin seed oil help stop inflammation and helps with neurodermitis. The chia seed is one of the richest source of omega-3 oil and other essential nutrients for a healthy skin. They were the power food of the ancient Aztecs. According to Spanish manuscripts, the Aztecs ate the Chia seeds to improve their endurance - they called it their "running food" because messengers could purportedly run all day on just a handful. On my salads I use generous amount of extra virgin cold pressed olive oil and when stir-frey veggies, I only use coconut oil or grapeseed oil because these oils are great for our health and they will not smoke, burn or splatter like other cooking oils. This is due to their high smoke point, approximately 320 degree F.
The role of glutathione in detoxification and prevention of radiation damage in other tissues is well-known. 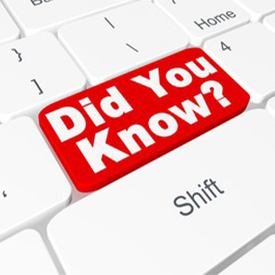 Low levels of glutathione GSH have been documented in many types of skin disease including: eczema, vasculitis, etc. "In both irritant contact dermatitis and allergic contact dermatitis GSH levels fall both in the skin and the whole body." 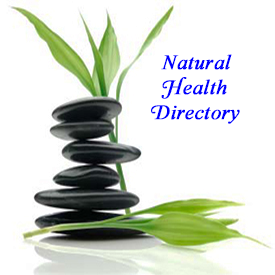 There are over 100 diseases and conditions associated with low glutathione levels. Most of the degenerative diseases of aging and the autoimmune diseases have been studied and linked to low glutathione GSH levels. Dr. Jimmy Gutman, M.D - "Clinical evidence links low glutathione levels to the most common illnesses of our time as well as newly emerging diseases. Glutathione levels diminish as we age and many diseases normally associated with aging have been linked to glutathione deficiency." 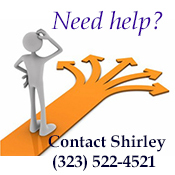 Shirley: While my eczema had completely healed I continued to experience callouses and cracks on the heels of my feet. I knew it was an indication of a nutritional deficiency but I was taking all the trace minerals from the sea, the omega 3 oils, my diet was optimum now... I couldn't figure out what could be missing from my diet, until I learned about glutathione and Immunocal. After taking Immunocal for 2 months, all the cracks and callouses had disappeared! Persimmon leaf is anti-allergic and anti-pruritic in composition; in other words, an allergy or itching preventive food. Furthermore, research has proven the therapeutic effect of persimmon leaf extract on those suffering from dermatitis. The preventive effect of persimmon leaf extract on dermatitis was dose-dependent and a continuous intake of persimmon leaf extract significantly decreased its onset and development. As well, studies have shown that supplementation of persimmon leaf improves lipid profiles and suppresses body weight gain in animals that were fed high-fat diets. It is also used topically in some beauty products to help to clarify the skin and eliminate dull and dark areas. Formulated by Dr. Bill Miller, Ph.D. in Nutritional Science, the VelociTea tea is a unique herbal blend of safe, all-natural ingredients designed to promote healing by gently cleansing the digestive tract, detoxifying the body, improving skin condition. The "Holy Tea" name is taken from the traditional name of one of the ingredients, a widely-used medicinal herb known as Holy Thistle or Blessed Thistle, and is not intended to imply any religious significance - although grateful users who experienced remarkable health improvements after drinking Holy Tea often thank God for this gift of healing! As time went by, the cycles of aggravation of symptoms (itching, oozing, swelling, pains etc) became less severe and of shorter duration. My healing process was very slow and tough. It takes courage, sacrifices, and lots of patience because the body needs time to heal. We are used to "quick fixes" which merely suppress symptoms and makes us worse in the long run. If you allow your body to heal itself, in time a cure is obtained on a deep level of the constitution. Its not just your skin that gets better, its the whole of you. I sleep better, I feel more relaxed, I'm happier, I have more energy and more stamina than ever before in my entire life and even when under stress I no longer experience a relapse or aggravation of my symptoms as I used to. As I edit this story today, June 1999, I consider myself nearly completely cured of my eczema. 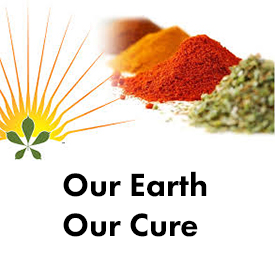 Healing of skin disease with natural means does not happen overnight. My son Sterling had a patch of psoriasis about 2 to 3" diameter on his right shoulder. I gave him flaxseed oil every day for over a year and finally his it disappeared. It takes patience and persistence to cure eczema with flax oil, not everyone gets results in a few weeks as I did. My immune system is constantly fighting and when I'm overworked or under stress, small eczema patches may flare up again on my hands, fingers, or on my face for a few weeks or even a few month and then disappear again. I don't try to suppress these small outbreaks because I don't want to interfere with my immune system and with the detox process as it continues to be part of the healing process. There are many different types of manifestations of psoriasis and eczema. What they all have in common is an excessive production of skin cells in the basal skin layers of the Epidermis. 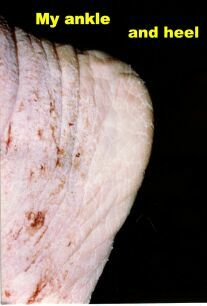 The overproduction is made possible or is caused by an enormously increased area of the basal layers of the epidermis, which produce new skin cells. This increase manifest itself as an abnormal folding process in the basal layers. The sum total of this and other effects is that a psoriasis sufferers affected skin areas produce approximately 7 to 9 times as many new skin cells as normal skin. Measured in time, normal skin reproduces itself within 28 days, whereas psoriatic skin is replaced, at least as far as cell numbers are concerned, within 3 to 4 days. Eczema -Atopic dermatitis is indicated by an itchy, fissured, thickened skin, breaks in the skin, scabbing, flaking, and crusts extension of the patches or lesions or red raised skin patches. They can grow to form larger areas. Some people have dry patches, some have weepy eczema, some have raised, red, inflamed large or small areas, some have deep painful cracks that may be bleeding or oozing. One of the worse aspects of eczema is itching and consequently, the uncontrollable urge to scratch. In my experience, scratching did not make my eczema worse. It only make my skin look worse superficially. Scratching gave me intense relief and I feel very sorry for children and animals who are prevented from scratching. 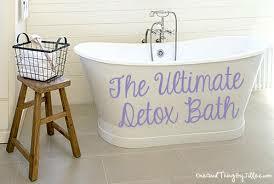 I experienced the greatest relief in very hot water infused with calcium bentonite clay or kelp. Upon immersing in the hot water I experienced intense itching (the heat of the water causes a rush of blood to the skin which triggers the itch) but I quickly felt immense relief after brushing my skin vigorously for 3 minutes under the water with a stiff nylon hair brush. After the bath I applied colloidal oatmeal lotion. 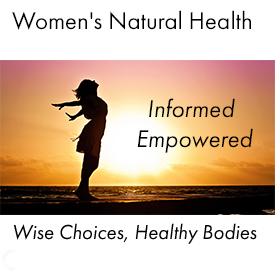 "I always knew that my body was capable of healing itself once proper conditions were provided. 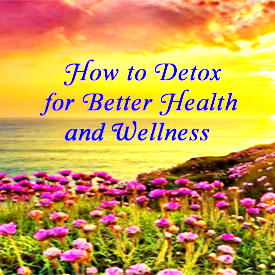 I think that homeopathy, uropathy, the raw food diet and juices, (especially wheatgrass/cilantro juice), detoxifying and nourishing tonic herbs, linseed oil and EPO, therapeutic water, and all other aspect of my program described above played an very important part in my recovery. But I think that if my deficiencies of essential fatty acids, mainly the omega 3 fatty acids , essential sugars (glyconutrients), had not been corrected, my recovery would have been nearly impossible. I also believe that bee pollen and fulvic minerals which I began taking since 2001 are playing an important role in maintaining my health and strong immune system. This is how I achieved optimum health after a lifetime of suffering"